These two lovely older ladies are Vanity and Bramble. If they were humans, Vanity would be approaching old age, and Bramble would, like me, be the wrong side of middle age. Vanity is a worldly-wise cow. She has had seven calves; including two daughters who are still in the herd, and her last two bulls who are alive, well and living the dream. We purchased her with her second calf at foot as a daughter of one of our foundation cows, and she has been part of the herd’s ruling dynasty ever since. She’s a gentle soul - not the most tactile of animals - but quietly classy, an excellent mother, and our oldest cow. Bramble was one of our first registered calves in 2010. She is a rare genetic line - her mother was also one of our foundation cows, who only gave us one heifer. She has bred four calves; two bulls (both of whom were sale champions), and two heifers, the oldest of which has just had her first calf. 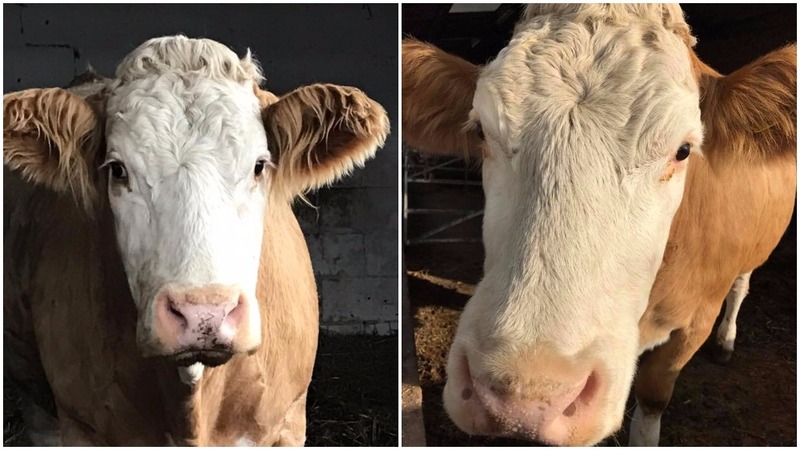 Bramble fancies herself as a bit of a matriarch - although she’s only the herd’s fourth oldest cow, the three that are older don’t care enough to want to be in charge. Both of these cows lost their calves in late pregnancy and have been culled today because someone walking on the public footpath through our field couldn’t be bothered to pick up their dog poo. 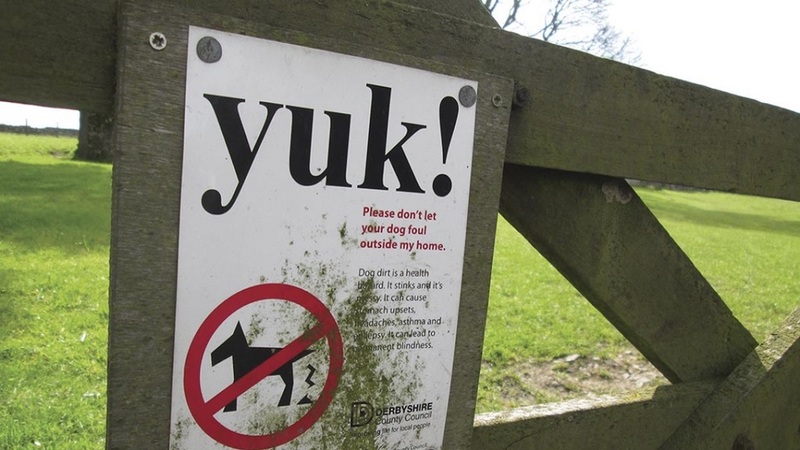 In spite of informative signs at both ends of the footpath, spelling out the details of what neospora is (a parasite), where it’s found (dog poo), what it does (causes abortion), and how to prevent it (pick up dog poo) some delightful souls have chosen to let their dogs have a free rein through the field. Because they can. ’It’s their right’ as I was once told when I requested a free running dog be placed on a lead. Neospora is a parasite carried by dogs. The disease can’t be spread from cow to cow in the field; the only way it can be passed on is through ingesting the parasite or being born to a mother who is infected. 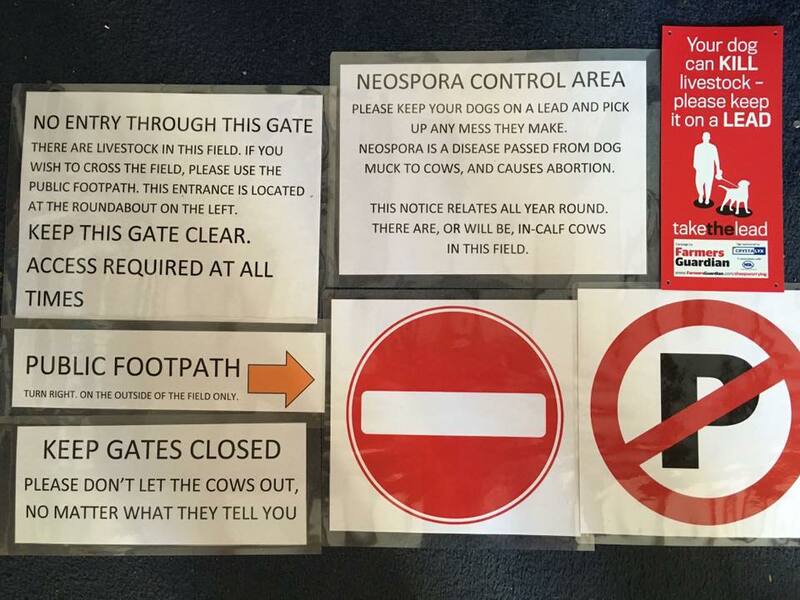 When the cows graze, they can pick up neospora, which can cause them to abort their calves. But it doesn’t stop there. For those that don’t abort, the calf, should it be a female, will almost certainly also become infected in the womb, and remain so for life. So the cow can’t breed replacement females as her females will carry the disease (meaning that her genetics die with her). And although bull calves are unaffected, the disease can cause repeat abortion year after year, which is distressing for both cows and humans. While neospora positive animals pose no danger to their field mates, the only sensible option for a pedigree breeding herd is to cull what is otherwise a healthy animal. So, while the field may be empty at the moment (as another dog walker once pointed out), that doesn’t mean it is not going to have in-calf, grazing cattle in it the next day. While we are not ecstatic that anyone can walk over our land, we do accept it. How can you consider yourself an animal lover if you are prepared to risk sacrificing an animal’s life because you can’t be bothered to pick it up?